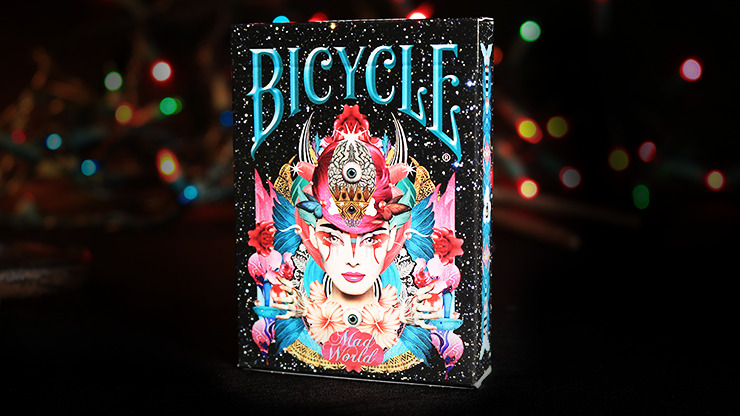 If a fever dream ever turned into a deck of cards, it would be the Bicycle Mad World Playing Cards. 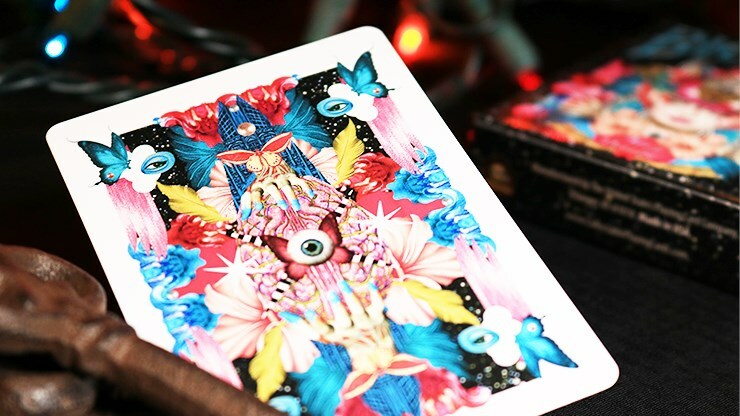 This combination of the unique and odd will keep you looking at these cards for hours, exploring every detail. 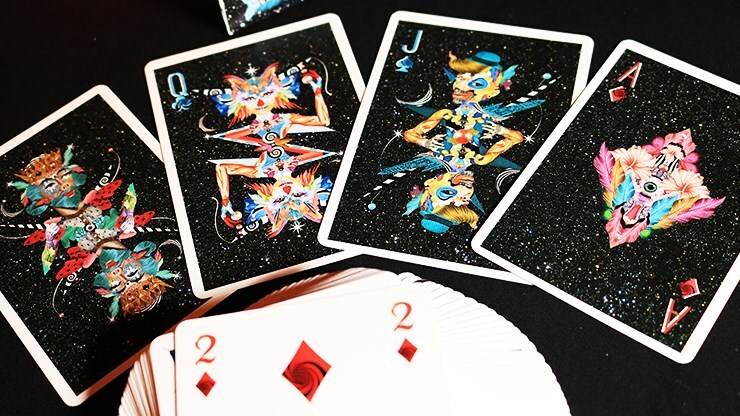 The backs are a trip through an eclectic wonderland of detail. 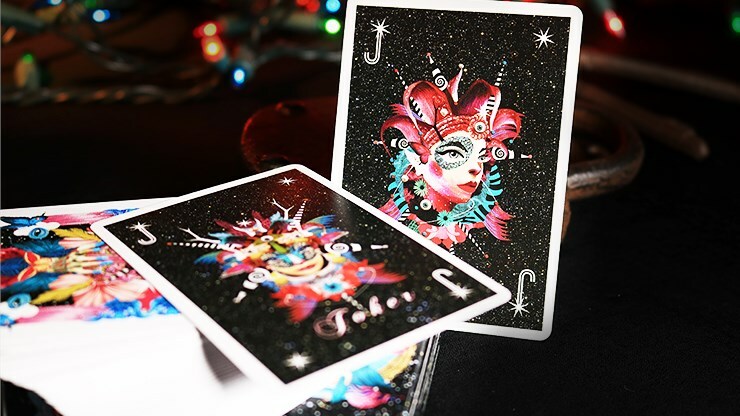 The court cards feature members of some twisted masquerade ball, and the Aces and Jokers are also custom artwork. 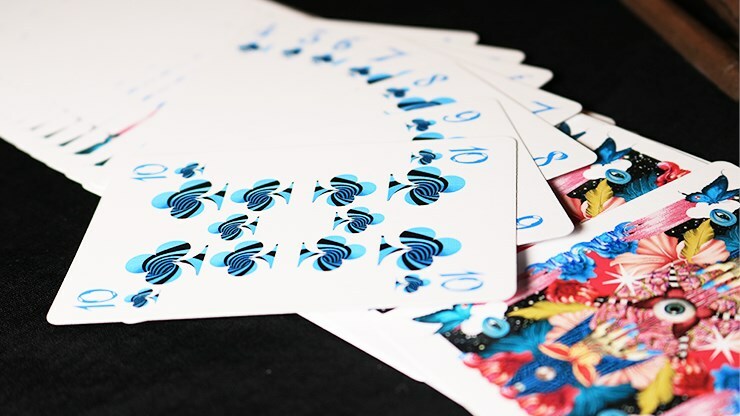 Even the number cards have custom designs on the pips. 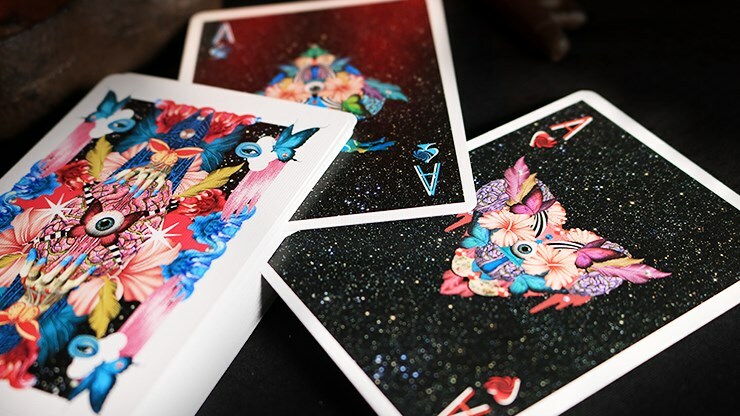 Take a trip down the rabbit hold and get your deck today!